Half of us had been there before and half were virgins, but Billy McGuigan’s Yesterday and Today—An Interactive Beatles Experience was still as much brand spanking new fun as ever, making the old young again and pre-schoolers hip participants. And her sister, sitting with Richard and other family members, wrote “I was sure Richard would come up with something sappy for my sister.” Because Richard took that and other friendly abuse from his companions, he won the prize for best request of the first act. And a woman who has returned to the Beatles show every year at the Omaha Community Playhouse wanted to hear Matthew sing “Blackbird” once more but admitted, “I usually try to say something funny but after 11 years it gets too tiring.” That song, a sweet contrast to some of the hard-rocking favorites, won even more requests than “Yesterday,” the most covered of all the Beatles hits. But Billy himself took that standard again, brother Ryan brought the crowd to its feet with “Come Together” and the rest of the band—from guitar-master Jay Hanson to drummer Rich Miller—shared the spotlight. Tara Vaughan slapped her keyboard silly most of the evening, and when she joined on vocals stirred interest in her new show, “She Rocks—the Women of Rock,” set for next June at the Playhouse. She also went into the audience to have Clara, 8, read someone’s request for “In My Life.” Clara’s careful enunciation of the sentimental note turned out to be such a nice touch of serendipity that Tara deserves some sort of prize for picking participants. 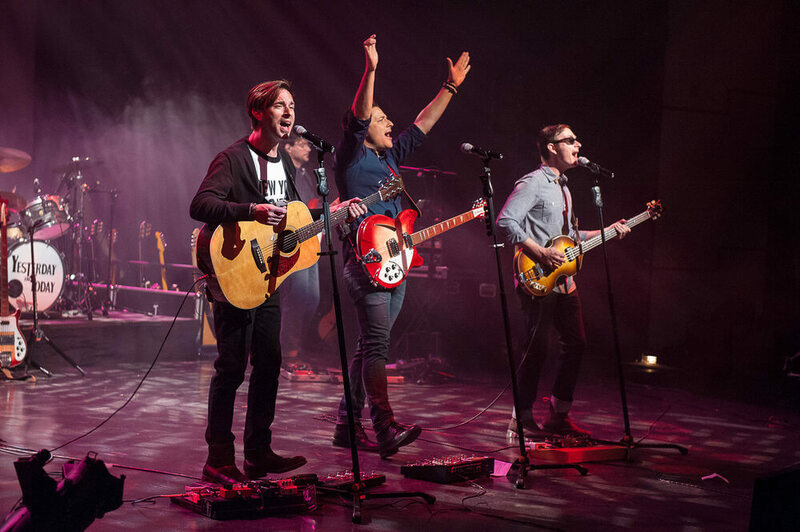 Yesterday and Today—An Interactive Beatles Experience runs through Dec. 31 in the Howard Drew Theatre at the Omaha Community Playhouse, 6915 Cass St. Performances at 7:30 p.m. Thursday-Saturday, 6:30 p.m. Sundays, and 7 and 10 p.m. on Monday, Dec. 31. Tickets are $40. Visit omahaplayhouse.com or call 402.553.0800.